Sometimes I ponder. 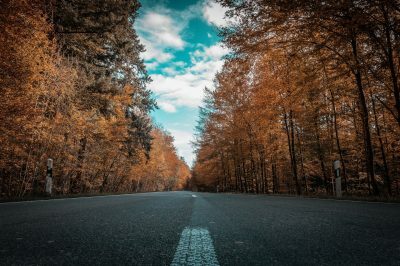 Why do I love travelling so much? Why do I have to go to so many unknown places? As our strategy professor pointed out last week, virtual reality is going to be a thing of the future. According to him, you just have to put on some glasses and you are virtually transported to a beach and that will give you the same experience as being at the most beautiful beach in the world. Maybe that is the thing of the future but do I agree with him? Will I ever be content with seeing the world from my bedroom? According to me, that is a ridiculous thing I have heard in a long while. Even though I have immense respect for him as a professor, I doubt we will ever see eye to eye on this topic. How do I tell him that no amount of seeing it on a virtual screen can prepare anyone for the actual real deal? The World is a much more beautiful place than we can ever imagine and whatever his convictions are, I would rather see every new place with my own eyes, smell it on my own, feel the excitement of experiencing a new place on my own. I know for a fact that magical fairytale like places do exist and I have seen many of them around the World. I thought I had seen it all but then I heard of a small town called Colmar in France. 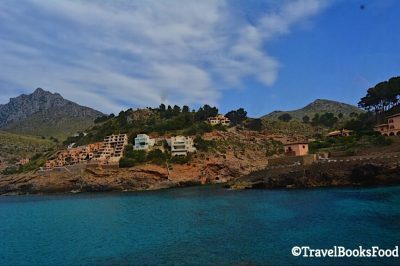 People who had seen it before often called it one of the prettiest towns in Europe. I knew I had to see it once I saw all those gorgeous pictures. Colmar is located very close to the French- German border in the Alsatian region in North Eastern France. I think that is what makes it so unique. Colmar definitely has some influences from both the French and German sides. Many people consider Colmar to be the capital of Alsatian wine. I was staying in Strasbourg and it just takes around 25 minutes by train. Basel is also around 45 minutes in the opposite direction by train from Colmar. A round trip train ticket from Strasbourg to Colmar cost me around 25 Euros and there is one train every hour from Strasbourg. I knew I had only one day to see Colmar and I wanted to make the most of it. However, it was raining quite heavily in the morning that day and hence by the time I left Strasbourg, it was already around 11 AM. I almost cancelled Colmar because of the rain and I am glad that I did not. By the time I got to Colmar, it had started raining again and I thought that rain was going to play spoilsport. The tourism guy at the railway station did not speak English and I did not understand a word of what he said. I did see people phoning for cabs from a phone booth just outside the railway station. There were buses available too. I decided to walk. I love walking in the rain and Google Maps told me that it was just 20 minutes by walk to ‘Little Venice’. As I was walking towards Little Venice, it looked a lot like a typical European town. But it was not till I finally reached Little Venice, I realized how wrong I was. 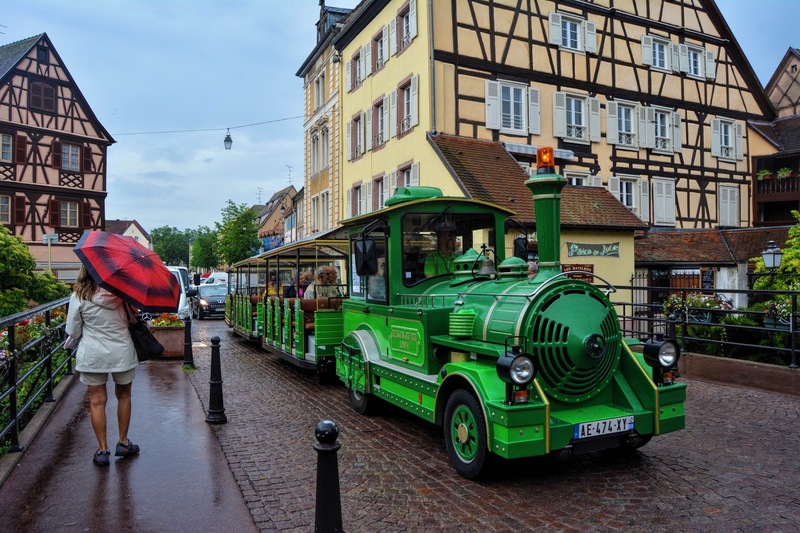 There are so many things to do in Colmar France. Have you ever been transported to a magical land? A land you believe exists only in fairytales. A place where you have to pinch yourself to believe that you are not dreaming. Colmar is all that and much more. Colmar is definitely one of the prettiest towns in Europe I have been to. Colmar is a small town and you can pretty much finish seeing the place in a day’s time. However, please be warned. When you are surrounded by so much beauty, you will never ever want to leave. This idyllic town is a perfect example of how time stood still. The most prominent place to see is the Old town. The old town consists of ‘Little Venice’, a tanner’s district, a gorgeous church with a well-preserved charm and few museums. Take a stroll along the district and you will never stop clicking pictures. I must have walked around the ‘Little Venice’ at least twice. You can also take a mini train around the place. I rented a small boat that took me around the canal alongside Little Venice. You have to pay around 6 Euros per person. It was fairly deserted around Colmar since it was drizzling the whole day. 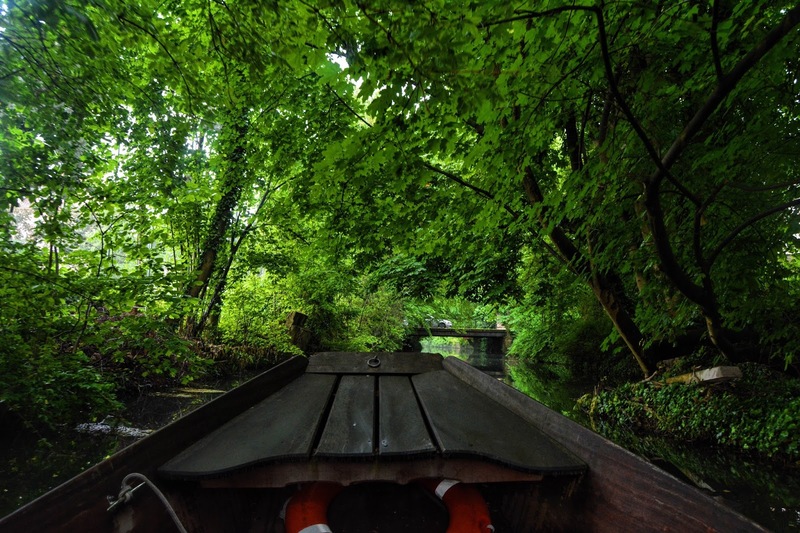 That meant I got the boat all to myself as I took in all the beauty from another angle. 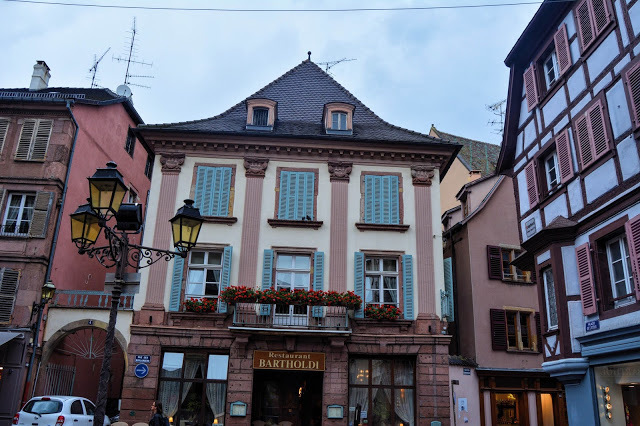 Since Colmar is the birthplace of Bartholdi (The guy who designed Statue of Liberty), you can head over to his childhood home which has now been converted into a museum. 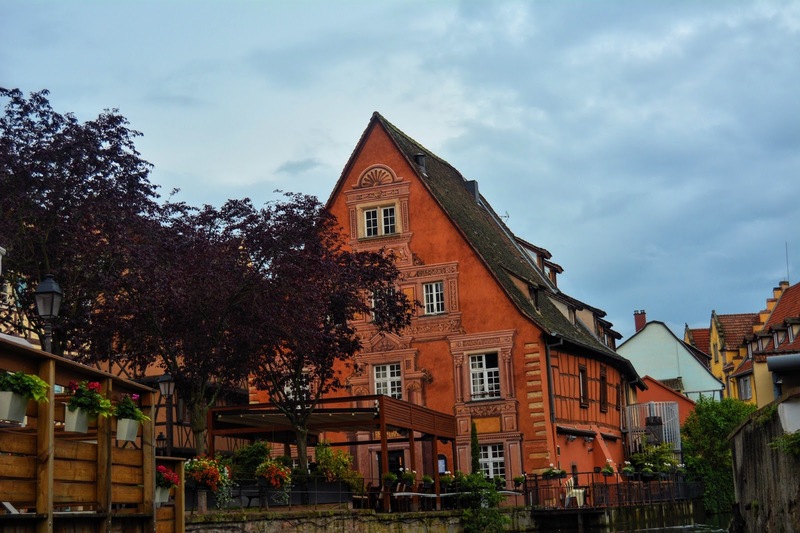 Also, walk around Colmar to find the uniquely designed houses like ‘House of Heads’ or ‘Old Customs House’ or ‘Pfister House’. If you love wine (unlike me), then you can find multiple places around town to have a quiet sip, as you sit there contemplating life. 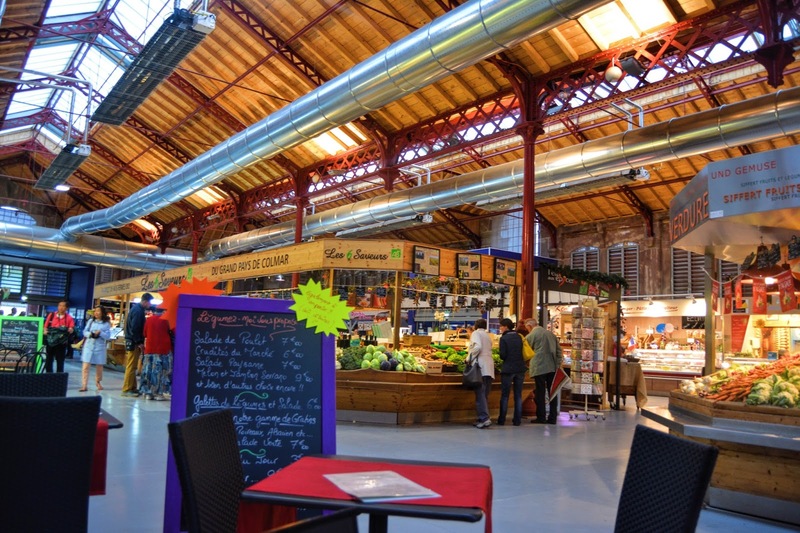 I had lunch at the indoor organic market and it was really delicious. Colmar is a place that has to be seen slowly. It is not a place where you go around checking the number of places that you have seen. Even though I spent only a few hours in this gorgeous town, I will never forget my time here and I would definitely want to go back here again. Colmar really has found a place in my heart and it has been placed in my heart as one of the prettiest towns in Europe. Well, the pictures definitely agree with me. What a gorgeous place! I have never heard of Colmar, but would love to visit. Seems like Europe has a ton of cities that can be described as fairytale like. Bruges definitely comes to mind! Colmar is really gorgeous and you have to see it with your own eyes to believe it. I was in Bruges right before Colmar. Both are gorgeous in their own ways. You should visit whenever you can. It is a gorgeous fairytale town and the architecture is heavenly. I heard about Colmar too, only last year. 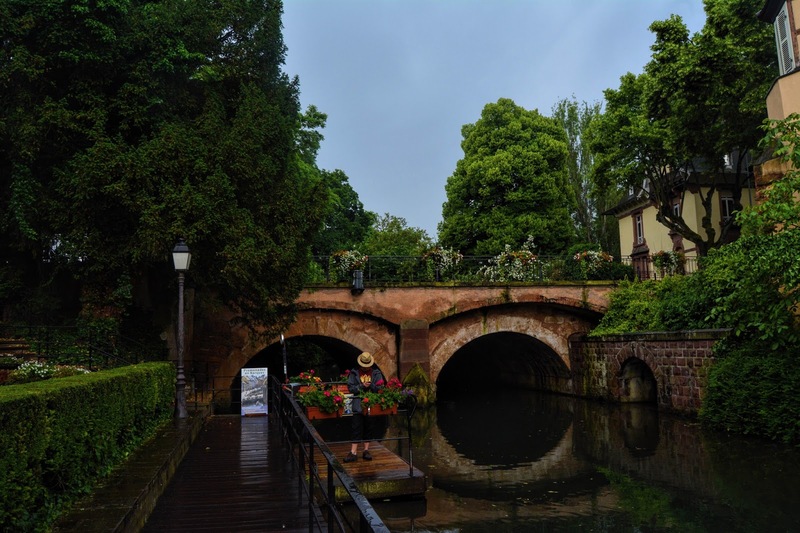 Colmar looks like an amazing place which becomes more beautiful in the rains.Little Venice looks so beautiful. I was able to enjoy Colmar in solitude since there were not too many people around because of the rain. Little Venice is gorgeous. I know I will never be content with virtual traveling. It definitely feels like stepping into a fairytale. I love your opening statement – I agree that there’s nothing quite like really going out into the world and experiencing it for yourself. I definitely don’t want to spend my life in front of my TV just imagining I’m on an African safari! Especially for a place like this. I love it when you can so clearly see a place’s influences and history. It was bothering me ever since he told it and I wanted to write about it. I have been on plenty of African Safaris and there is nothing like being actually there. OMG! I am so in love with this city. It looks like a place Disney would head to replicate. So beautiful and you captured it well. I hope Disney replicates it soon in one of their movies. But hopefully it won’t get too commercialised. Totally agree with you. Virtual reality travel (if it does happen) will never be able to compare to the real thing! I for one will always prefer being there! No to virtual reality travel. I will never be happy with that. I couldn’t visit Basque country this time. Hopefully next time. I loved the food I had there. I am not much of a wine person though. Ah, Alsace is all so pretty. I’ve not been to Colmar but it’s definitely on my list now! 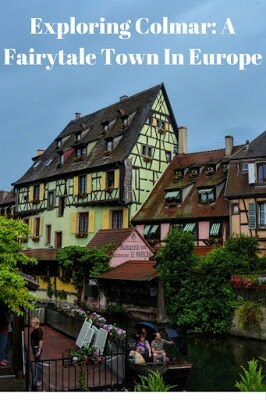 You should definitely go to Colmar. I love your post, and the pictures are so beautiful! I have been postponing going to Colmar for too long. It was not raining very heavily. Just drizzling. That definitely added to the beauty of the place. Such a gorgeous looking town! I would love to visit- I feel like I am collecting little small, lesser known towns for my “fairy tale” stops! This looks like a must! This is definitely a must. Collar is gorgeous. I’ve been in the area for only a limited amount of time and want to go back! This town will definitely be part of that adventure as I am all about the Alsace wine. We were treated to some sparkling wine from the region and I liked it better than Champagne, Cava, and Prosecco! I am not much of a wine person to know. But I have heard that it is heavenly. 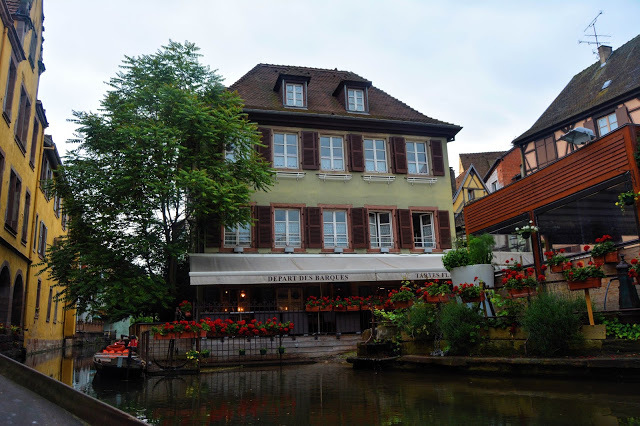 Colmar is such a pretty place, I remember years ago seeing photos with it and wanting to go and visit. I didn’t managed to, but I hope I will in the near future. 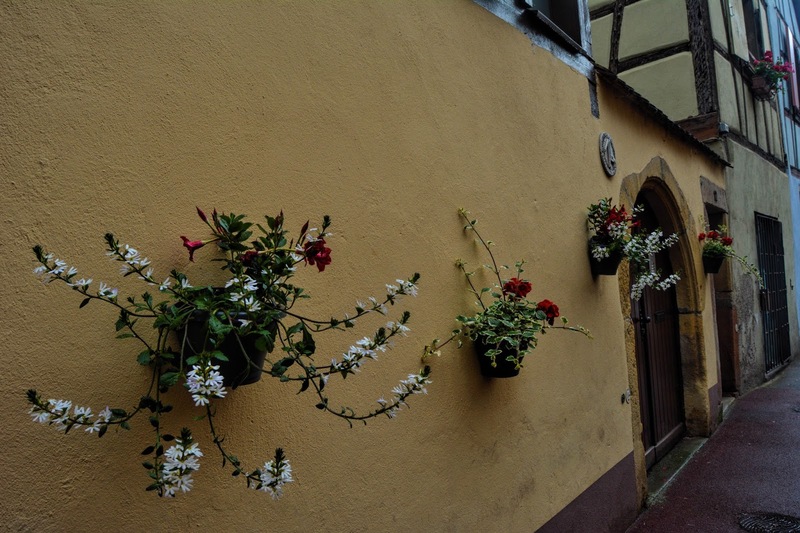 I love those beautiful narrow streets full of flowers. I hope you get to go soon. It is a gorgeous place. Looks like a really charming city! I heard of Colmar before but couldn’t imagine it’s THIS beautiful!! Also, absolutely agree with the virtual reality thing, nothing can ever substitute the real feeling of just physically being at some place. Very lovely article, thanks for sharing this beauty! I am glad that you liked it. Hopefully you will get to visit Colmar soon. Um, this town looks like perfection! I’ve been to France a couple of times and have never heard of this beauty. This is exactly what you imagine a quaint little European town to look like. I need to go! You should go before it gets too touristy. Now it is just a perfect place. Cities like this are so often overlooked because of all the ‘greats’ of Europe. The pictures are great – I love all of the architecture and canals. It’s so traditional and cute! I wish people will look beyond only the ‘greats’ . Europe is full of surprises like this. This post is timely! We’re going to Colmar next weekend too! Lovely little town like Annecy right? Have you also been there? No I have never been to Annecy. Hopefully next time. Enjoy Colmar. Well there were only senior citizens on the mini train and that is the reason I did not hop on. It is a small town and you can easily walk around it. Looks like such an adorable town! So many beautiful places in Europe, I really should go soon. I’ve never been but have always wanted to! Hopefully you will get to go to Europe soon. 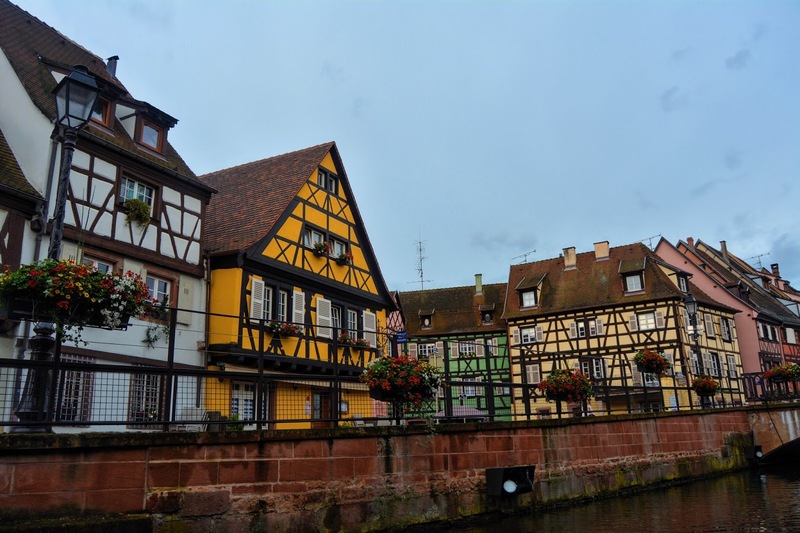 Colmar is one of my favorite places in France! We went last year to see the Christmas markets there. It is beautiful and I would love to go back. Great post! If you stay in Europe, you can cover most of such offbeat places; but if you are a tourist, it becomes very difficult to know of and see them. Glad you visited though inspite of the rain and it sure looks pretty! We will be visiting Colmar this summer. Beautiful photos and like you, knew we had to see this town when I saw pictures of it. Thanks for a great preview! We’re so excited to walk around and do that boat ride. you have complied lot of information useful for the travelers in all your blogs. In fact i am living in France (for work), traveled vastly in France. Several times i passed through Strasbourg,but always missing Colmar in my iterney. Information in this blog is very nice and follow your advise. Keep posting more adventurous tours. God bless you.